There’s no doubting that the Net Promoter system is powerful. It can have a dramatic effect on growth and profit when implemented well. Net Promoter says companies should “ask the (NPS) question in a manner that provides reliable, timely, and actionable data.” But often, measuring Net Promoter Score through outbound call centers and laborious web surveys means you get a low response rate. And the results can take weeks or months to come back to you, meaning it’s hard to follow up and with staff who made errors or customers who need problems solving. To get it working effectively, you need high response rates and rapid results. This is where Customer Thermometer changes the game completely. This allows you to measure Net Promoter Score on a continuous basis. 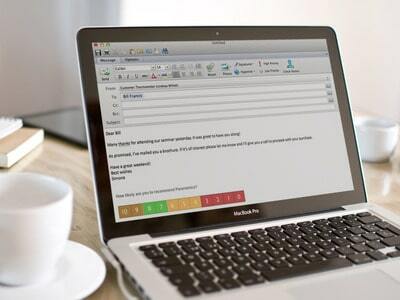 Every time your staff member sends an email to a customer, it’s easy to have the footer appear. And our dashboard shows you your NPS, minute-by-minute. Watch it change in real time! Crucially, the results we generate are completely trackable back to the person who clicked them. They can click a response and you will instantly be able to see who clicked what. “Closing the loop” has long been the holy grail for Net Promoter users but Customer Thermometer makes it a cinch. Are your customer satisfaction survey response rates declining? Are you finding it harder to get customers to answer your Net Promoter surveys? Chances are people are tired of the same long forms that are impossible to fill in on mobile devices. The average iPhone user looks at their phone more than 100 times a day. 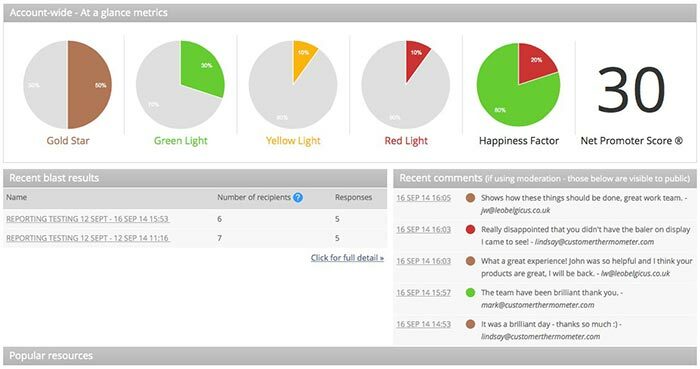 And because Customer Thermometer is so easy to respond to (no fiddly links to click), customers can tell you how they feel and get on with their day. Give Customer Thermometer a try today. Get a free account here, no credit card details required. *Net Promoter® and NPS® are registered trademarks and Net Promoter Score and Net Promoter System are trademarks of Bain & Company, Satmetrix Systems and Fred Reichheld.